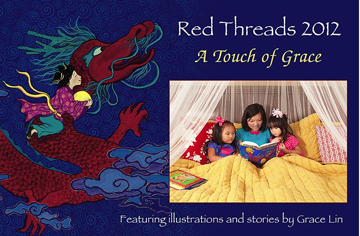 GraceLinBlog: Red Threads Calendar Now Available! It's December, which means it's time to buy a new calendar! Why not buy this one? 100% of the proceeds (after printing costs) will go to assist orphanages in China! Books and calendars will be available. If you can't make it today, but want to have something to be personally autographed to be picked up later, call Fundamentals at (740)363-0290. Not local, but still want a calendar? Order HERE!